The cast is ever-changing, but the results remain the same. The U.S. rowing women’s eight is the most dominant team at the Olympics. For six weeks, from the Olympics opening ceremonies to the Paralympics closing, men and women represent their country with one common goal in mind: Gold. 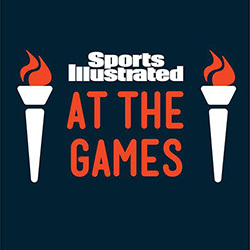 Subscribe now for SPORTS ILLUSTRATED’s in-depth coverage. On a still and muggy morning, the first full day of summer, nine young women gather in the shade beside the C. Bernard Shea Rowing Center at Princeton, the home base of USRowing. In shorts and tank tops, barefoot or in flip-flops, hair pulled up and sweaty, they mill about, chatting, laughing, checking phones and taking long pulls from water bottles. The first workout of the day is done. Under their normal schedule—what they’ve been accustomed to for the past four years—they would be off to rest now, eat, maybe grab a nap before the afternoon’s training session. But today is a little different. Today they have a photo shoot scheduled, as well as video interviews to record and a reporter to talk to. Routine was scuttled for these athletes late on the previous afternoon when they were officially named to the U.S. Olympic women’s eight for the Rio Games. This morning they woke up as the latest embodiment of the longest-running dynasty in Olympic sports. Beginning with a victory in world-record time at the 2006 world championships, the U.S. women’s eight has won 10 straight world or Olympic titles. (Closest comparison, perhaps: the Soviet Union’s 10 consecutive world and Olympic gold medals in men’s ice hockey, from 1963 through ’72.) Now the nine women assembled here this morning know that in just a few weeks they will head to Rio as a heavy favorite to continue the historic U.S. streak and bring home a third straight Olympic gold medal. Rowing is unlike every other team sport. Having a star or two in an otherwise undistinguished squad won’t elevate the boat. A single rower can’t get hot and carry the rest of the crew. There are obviously no substitutions or situational specialists. The eight oarswomen and coxswain in a boat must function as a unit from the first meter to the 2,000th. Ask anyone in the rowing world about Terhaar, and it’s likely you’ll hear some variation of the term soft-spoken. You’ll also hear modest a lot. But the 46-year-old former rower at Rutgers and coach at Columbia, who took over as women’s coach for USRowing in 2001, runs his program with unmistakable seriousness and intensity, and he brought immediate success. The year after he arrived, the U.S. women’s eight won its first world title in seven years. Two years after that, in Athens, the boat took second, claiming its first Olympic medal in 20 years. He also gave his athletes the fitness and the skills, built through countless hours on the water, in the rowing tanks and on the ergometer. At the heart of Terhaar’s approach is the notion of building “boat feel,“ which he describes as ”using the water to move the boat.“ To that end, his rowers spend a lot of time throughout the year training in singles and in pairs—where technique and touch can be more easily observed and honed—even as they continue to be mixed and matched with one another in different eights. They also get a support system that allows them to focus on training. Athletes with the national program receive a stipend from USRowing that varies according to the athlete’s ranking and competitive results, as well as health insurance. In addition, in Princeton, a network of host families provides year-round room and board for a majority of the rowers on the national team. Some of the families have been in the program for three or four Olympic cycles. Polk, 29, says she knows that after the Games “the world will kind of open up.” She is engaged to be married this fall and hopes to go into a career that makes use of her degree. “I’d also love to do Dancing with the Stars,” she adds with a laugh. ​Indeed, the 12-week selection camp, which began on March 28, numbered 28 women who were contending for 13 berths (in the eight and the quadruple sculls), with rowers cut from contention throughout. Terhaar and assistant coach Laurel Korholz named the final eight from 10 finalists. Though the eventual selectees owned a total of 28 world championship gold medals, none were assured of a seat in this year’s eight. In the end, women who had won a combined 15 gold medals were not selected. The celebration continued the next night, at a barbecue for the combined men’s and women’s teams. The athletes gathered at the Caspersen Rowing Center, outside Princeton, along with coaches and team staff and many of the host families. Smiling, laughing, a little self-conscious, the newest members of the U.S. eight dynasty—in addition to Logan, Musnicki, Polk, Regan and Snyder, there was Amanda Elmore, Tessa Gobbo, Kerry Simmonds and Lauren Schmetterling—lined up for photos along the edge of the dock on a soft and breezy evening. They were in shorts and summer skirts, sandals and sneakers, garlands of flowers around their necks. Bartleby, Logan’s six-month-old “rescue mutt” and the boat’s unofficial mascot, scampered between their legs. The occasion could have been a sorority reunion, a company picnic, an alfresco bridal shower. In the end, though, it was a kind of confirmation. The U.S. women's eight (second from bottom) racing at the World Rowing Cup II in Lucerne, Switzerland in May.